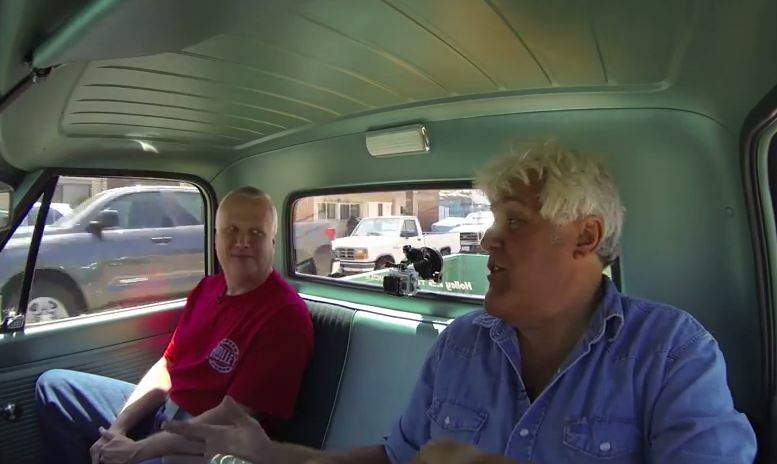 Joining Leno in his test drive is the President and CEO of Holley, Tom Tomlinson. Despite some unnecessary discussion about Leno’s wardrobe, the episode is absolutely fantastic. 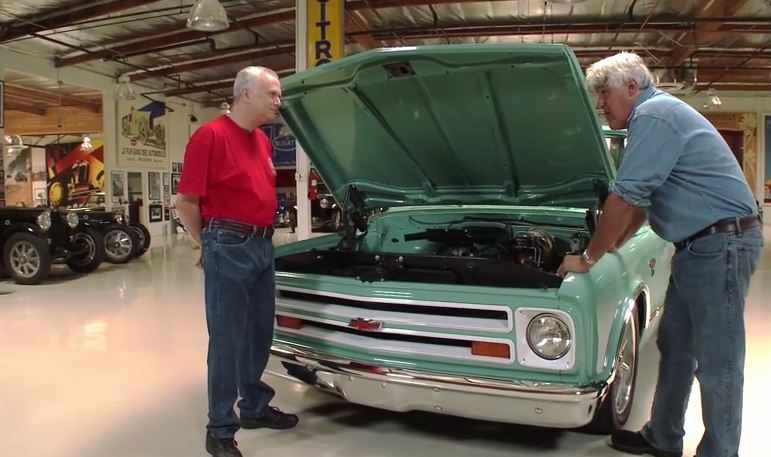 Leno has a knack for really getting the most interesting facts out of a car in a way that many other reviewers do not, so the rare truck analysis is a true gift to pickup gearheads across the country. Tomlinson and Leno look under the hood. The mint green C10 restomod sees mostly mechanical upgrades, which includes a Chevy LS3 V8 engine (like you’d expect from a Corvette) under the hood, paired with a six-speed Tremec T56 manual gearbox, complete with a Hurst shifter. Tomlinson believes that the ’67 C10, which he calls a “rolling showcase” for the company’s products, likely sends about 500 horsepower to the rear wheels.